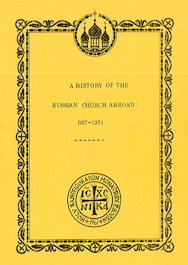 +ATTENTION-ALL MEMBERS of ROCOR/MP and the OCA: A repeat re-sending: ALL SHOULD READ THIS!-at least 2-3 times over again: An on-line internet-accessible version of: "A History of the Russian Church Abroad, 1917-1970"
"If ye love me, keep my commandments!" Chapter V: Ought The Metropolia To Have Dealt With The Moscow Patriarchate? This rich revealing in-depth study is about the number one BEST concise history of Russian Church Abroad history from 1917-1970, in English, and it especially is super valuable as it documents the dirty double dealings of the communists in Russia and of their using their captive apostate 'Moscow Patriarchy' for their world-wide worldly power schemes, and the shameful betrayal of the American, formerly called, The North American Russian Metropolia, renamed in 1970 as the 'OCA', into its actual KGB-Moscow subjugation [which was miss-labeled as: 'autocephaly'- 'independence'!].... to the communist organization which Stalin-created in 1943, the bogus and phony and uncanonical and apostate, 'Moscow Patriarchy' which shameful betrayal was accomplished in 1970, 'by hook and crook'. Most local parish members of OCA parishes, knew nothing about what was actually happening back then. They [and I] blindly TRUSTED OUR CLERGY! When this exposé came out and I was blessed by God! to receive it and to carefully read and absorb it, [and comparing the facts in it with my own witnessed and direct knowledge of what was so very wrong in its semi-Orthodox church life] this was a major influence in my difficult decision to finally, leave my "OCA", of which I had been a loyal and active member of for many years, in fact since age 17, when I first became an Orthodox Christian, and to flee, for the salvation of my immortal soul, to the canonical and fully ORTHODOX, Russian Church Abroad. At which point in Archpriest Alexander Schmemann's speech, the people present enthusiastically clapped their hands and happily laughed. But what actually did the communist front called the Moscow Patriarchy get 'in return'? It certainly was a lot more than, 'nothing'. 2) they got FOREIGN RECOGNITION ...that their totally controlled and uncanonical bogus enslaved soviet Red 'church' was THE sole and only valid 'Mother Russian Orthodox Church'-the sole and only valid continuation of Holy Patriarch Tikhon's real Russian Church, which it never was, nor is now. Patriarch Tikhon's anathema still is over them. 3) The communist run Kremlin thus gained a human-foothold into the American national scene, by using their devoted and obedient sympathetic OCA clergy and their many thousands of laity in America (America being, still in their communist eyes, their number one enemy country and government in the whole world) to be their Fifth-Column agents, and willing pro-soviet mouthpieces inside of their enemy country, and where it then became possible to utilize their new daughter church, the OCA, as propagandists and as possibly even, so they hoped for- to become spies and espionage agents..."for Mother Orthodox-Russia". 4) Moscow was gifted with the Japanese Orthodox Church, a hard won mission church, originally, of the old real Russian Church, and founded by that great missionary, Holy Bishop Nikolai Kasatkin. Soviet-Moscow had long wanted control of the Japanese church, to use as its inroad and base for its soviet agents to work inside of Japan. The OCA handed it to them on a silver platter. "Ex-KGB Agent", mass murderer, the Butcher of Ukraine and of Syria, dictator Vladimir Vladimirovich Putin, - being the real MP 'Patriarch', the actual head of the false, -'Mother Russian Church', the Moscow Patriarchy. *Still, to this day, one never hears nor reads of any open or public OCA or ROCOR/MP criticisms of their beloved 'Mother Church' their MP, or of its true head, Vladimir Putin- only praise & a steady stream of unjustified and false defenses of him [including his invasion of Ukraine], and his MP church, and with continual mutual fraternal clerical 'visits' and mutual co-operation. The MP steadily also, pushes the OCA into more and more ecumenist betrayals of the Orthodox Faith.... for its world-wide communist power goals. Also, more and more MP clergy from Putin's Russia, are relocating to America and are taking over-INFILTRATING, many larger and older OCA parishes here.... and too, gradually ROCOR/MP parishes also. But from OCA clergy and laity, one does hear and read, of their mindlessly parroting of the Kremlin's current and often anti-American propaganda line! I am a personal witness to this. Such garbage has been spoken to me, in my face! Now, Hilarion Kapral's ROCOR/MP clergy and internet trolls, do the same, especially on the internet. P.S. 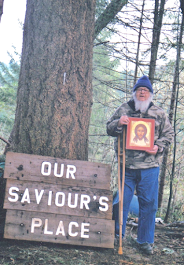 So, in fact, the communist-Moscow Patriarchy and their true communist masters, got A LOT in repayment for their graciously granting their ILLEGITIMATE Tomos of 'autocephaly' to the North American Russian Metropolia, which was in fact, in canonical schism [actually two times over] from the Russian Church Abroad, a schism first lead by Bp. Platon Roshdyestvensky, of SORRY MEMORY!, back in the early 1920's, utilizing his trickery and lies and armed with his FORGED FALSE-UKAZ ..... "of Pat. Tikhon"! Platon actually founded the North American Russian-Metropolia schism back then. It takes awhile to read and digest all of this, but it is well worth the time and patience, and even to re-read it over again, as it is so filled with valuable information. AND, this information does not change with time! WE CANNOT UNDERSTAND THE CURRENT CHAOS IN All, RUSSIAN CHURCH MATTERS, unless we study and learn this past history. Today, I spent most of this day, slowly and carefully re-reading all of It, not allowing myself any diversion or rest, to refresh my memory. And it was only today, that I remembered that I personally had met or knew, -to various degrees, a number of these major clerical traitors to Orthodoxy, both the priests and the bishops and others, those corrupted people, in my old Metropolia days. But back in those days, they deceived me – I had great respect and trust in most of them. I only saw them as holy men of God. But, I was fooled! So, actually, I know far more about the personal flaws and corruptions of a number of these prominent Metropolia/OCA leading people, mentioned by name in this document, than is exposed ever so briefly here. How many of them came to bad ends to their lives, & in covered-up hidden shame. But, this knowledge is not to my joy, but is my profound sorrow. I wasted many years of my life, being loyal to them, and looking up to them. I deeply regret that misplaced trust, now. In hindsight, I clearly know that ...now. They were the false-shepherds, wolves not true shepherds, the blind leading the blind.... of these End Times. 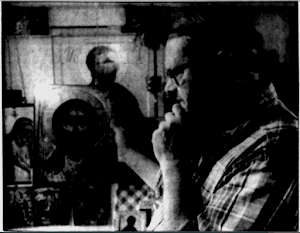 The material for this study was researched by a team of non-Russian non-Orthodox historical investigators who have no stake in the conclusions that are drawn from the facts. Q&A: "The Transfer of Sergianism 1925-1943"